The Night of 10,000 Lights returns to Old Town Bandon on Saturday, November 25th. The usual activities associated with the event will be happening again this year, Santa and Mrs. Claus will be there for photos with children 3:30 to 5 PM. There will be the usual wine walk/Nog and Cider Stroll from 3:30 to 5 through Old Town. Lights go on at 5:30 Visitor Center Parking Lot. 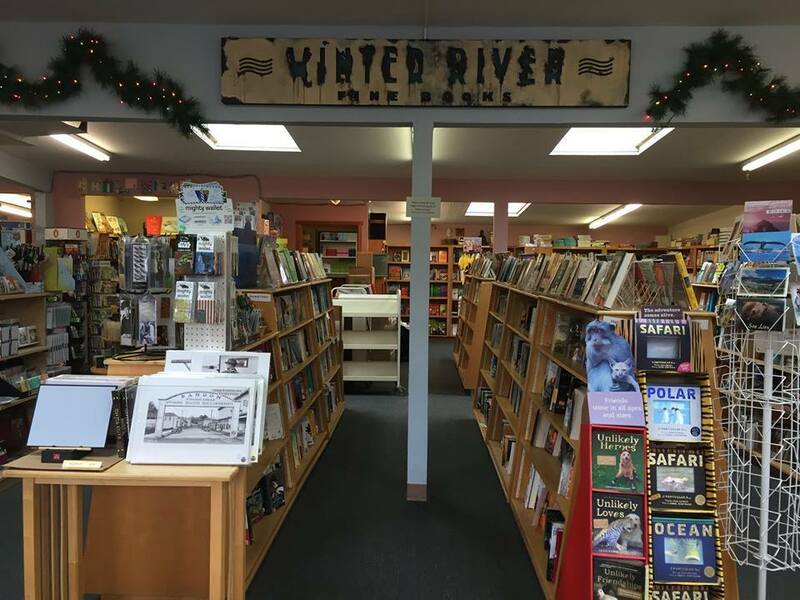 A stop on the walk/stroll that you will want to make is Winter River Books. They will be open extended hours with hot spiced cider, home-made cookies and wine tasting. It’s Small Business Saturday so come on down and Shop Local! Enjoy some cookies and hot cider. More details will be forthcoming as contingency plans are being made to deal with inclimate weather, but mark your calendars now.